On May 9 2014, the WIP and the UWIP clubs had a special guest, Jill Tarter, over for a private luncheon. Jill Cornell Tarter is an American astronomer and the outgoing director of the Center for the Search for Extraterrestrial Intelligence (SETI) Research. Tarter received her undergraduate education at Cornell University, where she earned a Bachelor of Engineering Physics Degree, as well as both a Master’s degree and PhD in astronomy from the University of California at Berkeley. Tarter has worked on a number of major scientific projects, most relating to the search for extraterrestrial life. 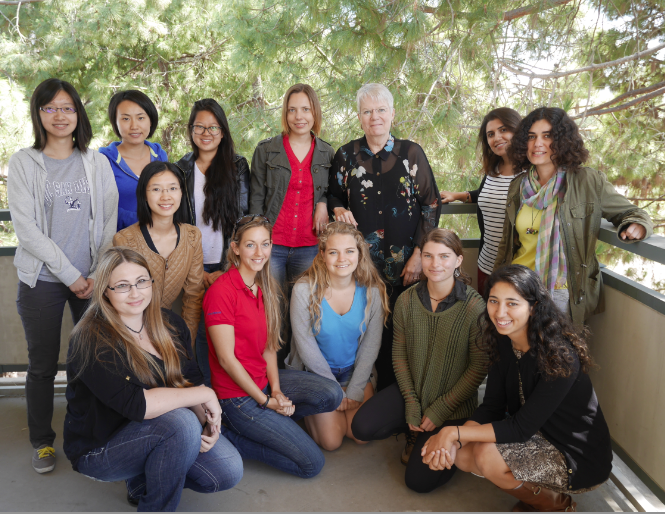 The ladies were excited to have the opportunity to talk to Jill Tarter in such an intimate setting. 1) What was it like raising a family as a female women scientists. 3) Tell us of a time you almost thought you found a signal. 4) If you could give us one piece of advice, which would would it be?